Cleaning Master cover the Merseyside Area ~ Cleaning Shopfronts, Paved areas, Car Parks, Pub Outdoor eating / drinking areas, Buildings as well as stripping masonry paint from buildings – removing graffiti and power washing within Merseyside. We offer a specialist service cleaning shopfronts and awnings above shops or cafés. Awnings in particular can suffer from becoming covered in pigeon mess, algae and grime. Hot water and detergent will leave yours looking Immaculate and really standing out from other commercial premises in your street. Our mobile equipment means we can arrive clean it without needing to ask you for power or water. We can carry out the work early morning, late evening, nights or weekends, whichever time is quietest for your business. You do not need to be open for us to be able to work. Please contact us for details. 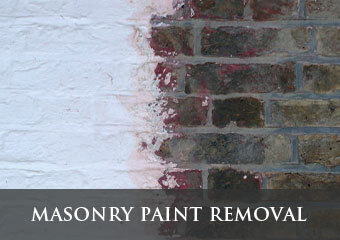 A facade, driveway or shopfront that has been cleaned really stands out. It looks fresh, well cared for and says that you care about the impression you are giving. And as we know, first impressions count! 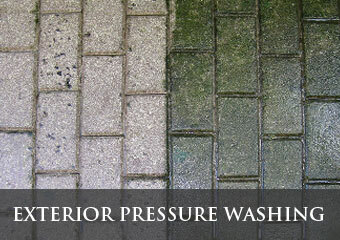 Cleaning Master exterior pressure washing service for domestic and commercial premises. What are the advantages of hot water and steam cleaning? Imagine washing up after a Sunday roast using cold water and no washing up liquid… Not very effective! Hot water would start to have an effect… and if you could use super-heated steam under pressure you wouldn’t need to scrub or use detergent at all! The same is true with exterior pressure washing. Hot water and steam allow us to quickly and thoroughly cleanse surfaces of grease, grime, algae, even chewing gum. Because we clean so efficiently we can use less water and less pressure than a cold water machine, which means we preserve water and we clean without damaging fragile surfaces such as UPVC, pointing or limestone.